Warm Home Discount: could you save £140 on your energy bills? Could this government scheme save you money? Keeping your home cozy in winter can get expensive but you may qualify for a helping hand from the Warm Home Discount. The scheme offers eligible households a £140 discount on winter energy bills. Here we explain how the scheme works, who is eligible to apply and other schemes that could help you save money by cutting the cost of energy this winter. The Warm Home Discount is a government scheme that gives customers extra help if they struggle to afford their winter energy bills. The scheme is regulated by Ofgem and, if you’re eligible, you’ll get a discount of £140 on your energy bill. Who is eligible for the Warm Home Discount? There are two groups of people who are eligible for the Warm Home Discount: the ‘Core’ group and the ‘Broader’ group. ‘Core’ group: The Core group is made up of customers who receive the Guarantee Credit element of pension credit. ‘Broader’ group: Customers who are on low income or qualify for certain means-tested benefits may qualify for the Broader group. Each energy supplier has its own eligibility criteria for this, which are approved by the regulator Ofgem. If you qualify for the Core group, you should automatically receive the Warm Home Discount on your energy bill without having to take any extra action. You should get a letter confirming this or telling you how to apply if you need to. This letter, which you should have received by 7 December 2018, will say if you need confirm your details with the helpline. If so, you’ll have until 28 February 2019 to make the call and ensure you receive the payment for this year. All Warm House Discount payments are made during the winter months and should be received by the end of March 2019. If you qualify for the Broader group, you will have to apply to for the Warm Home Discount through your energy provider. You can check with your supplier to see if you meet their eligibility criteria to apply, and due dates vary by supplier. People with pay-as-you-go meters can also qualify for the discount. 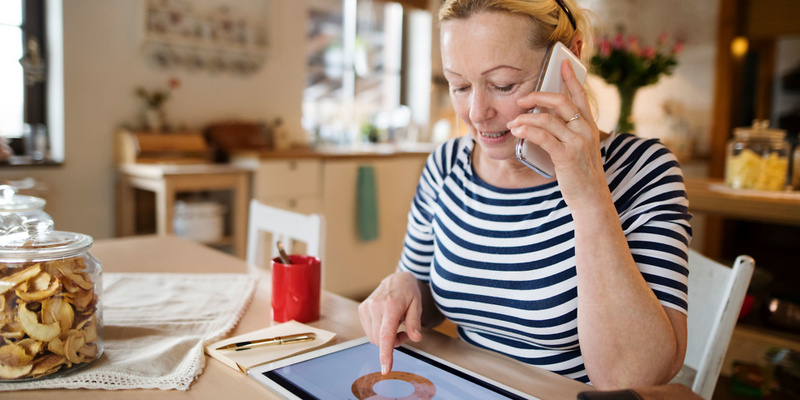 The Department for Business, Energy and Industrial Strategy (BEIS) recently announced that smaller energy suppliers must start to pay eligible customers the Warm House Discount. Currently, only energy suppliers with 250,000 or more customers are required to take part in the scheme. This is set to change, however. From winter 2019/20 energy suppliers with 200,000 or more customers must provide the £140 payment to eligible customers. This will be revised in winter 2020/21, when energy suppliers with at least 150,000 customers will be obliged to participate in the scheme too. The government is due to review the effects of these changes again in 2021. Are there any other discounts available? The Winter Fuel Payment is a tax-free payment from the government which helps older people with their energy bills during the winter months. The amount of Winter Fuel Payment you’re entitled to will depend on various circumstances including; how many people live in your household, if you live in a later life care facility and if you receive any benefits. Households eligible for the Winter Fuel Payment should have received their payment for winter 2018-19 by 14 January 2019. If you think you could be eligible for the Winter Fuel Payment, but haven’t received anything, you have until 31 March 2019 to claim for Winter 2018-19. Cold Weather Payments are made to households, that already receive qualifying benefits, to help pay for extra costs during periods of very cold weather. To qualify for a Cold Weather Payment, the average temperature where you live must fall, or be forecast to fall to 0°C or below for seven consecutive days between the 1 November and 31 March each year. This will be paid into the same bank account that receives your benefits within 14 days of the cold spell. The GOV.UK website has a tool (available from November) which enables you to find out if your area is due to receive the Cold Weather Payment. If it is, you’ll be paid it automatically. The Energy Company Obligation (ECO) is a government scheme aimed at reducing carbon emissions and tackling fuel poverty. Under the ECO you can apply for a grant to help cover the cost of making your home more energy efficient, cutting your energy bill in the long term. This could include anything from a loft insulation, cavity wall insulation, solid wall insulation or even getting a new boiler. It can be quite complicated to work out whether or not you are eligible for an ECO grant – it will depend on what improvements your home needs, where you live, the carbon levels, the potential savings that could be made and if you receive any benefits. To find out if you qualify for an ECO grant, contact your energy provider for more details. You can also get in touch with the Energy Saving Trust or call the Energy Saving Advice Service on 0300 123 1234. For more help and tips on how to save money on your home fuel expenses, take a look at our guide on cutting your energy bill.